(CBS/AP) FORNEY, Texas - The 11-year-old "mayor for a day" of a Dallas-area city is furious that a thief stole part of her legacy: a sign renaming Main Street for teen heartthrob Justin Bieber. 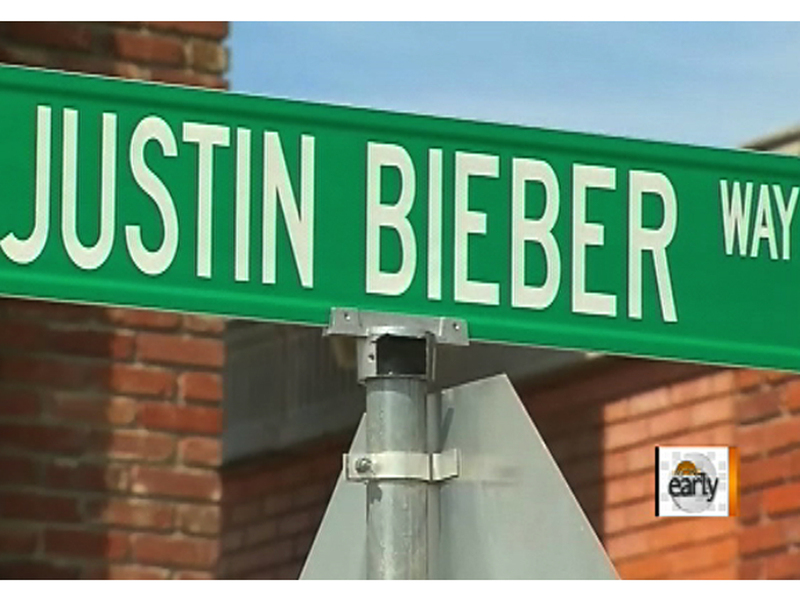 The temporary sign for "Justin Bieber Way" went up Tuesday in Forney, Texas. The Dallas Morning News reports that by Thursday morning it was missing. The street renaming was one of Caroline Gonzalez's first major acts in office. The preteen had become honorary mayor by raising money for orphans. Caroline's father, Tony Gonzalez said that after she learned of the theft, he had "never seen her so mad." City officials have made a new sign. They hope it will lasts at least through Monday which is the first day of school.